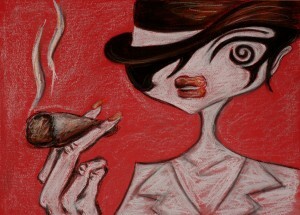 I felt like a cigarette this night and ended up with two paintings where the cigarette was a main motiff. This is one of them – betty with the split. Red pastel paper, black and white pastel.